On 6-3-2018 EAR-AER received 25 students from the European Union Law Course of the University of Calabria in Italy who paid official visits to the European Institutions. 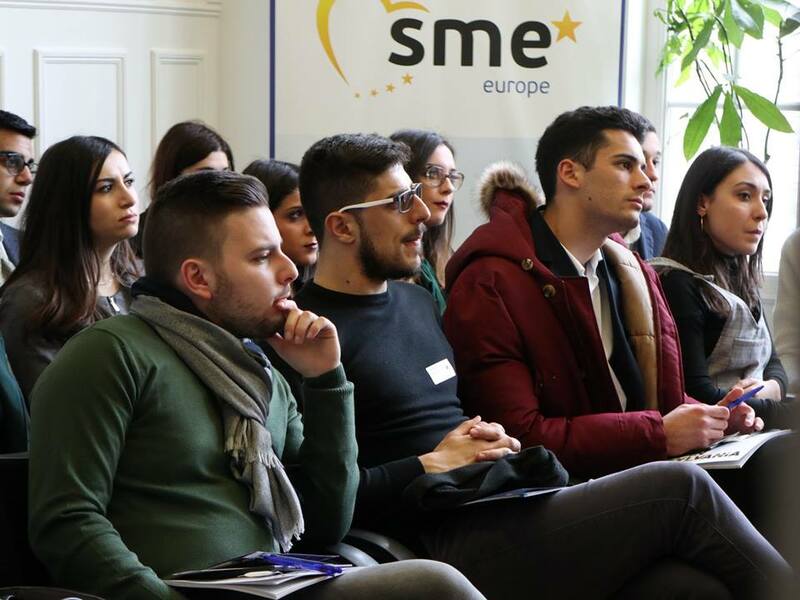 In 2 days they visited the EU Council, the European Parliament, the European Commission and the European Economic and Social Committee with their professors Massimo Fragola and Luigi A. Dell’Aquila. They were received by Dr. Horst Heitz, executive director of SME Europe, Mr.Nelu Neacsu, president of European Academy of the Regions and Mr. Louis Delcart, board member of the same organization. 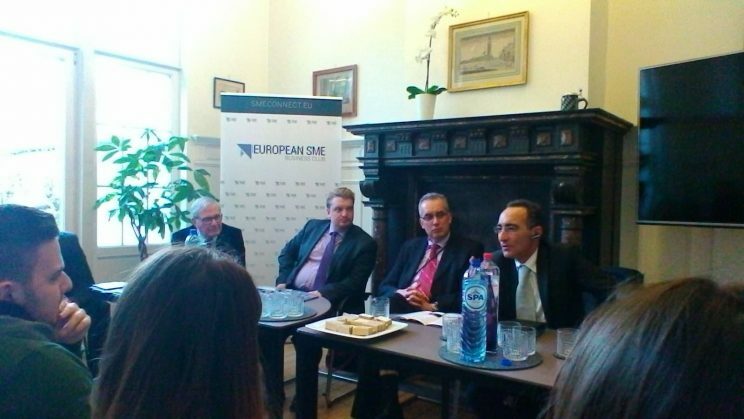 Dr. Heitz presented the SME Europe and the EPP of which it is one of the organisations. He especially insisted upon the importance of SMEs in Europe as creators of 50% of the European income and upon the need for permanent innovation among them. He insisted upon the importance of e-commerce, a trend that southern Europe is missing according to him. Mr. Neacsu briefly presented the Academy as a member organization with several departments and emphasised upon the creation of its latest department of Urban planning. Mr. Delcart explained the trend in which regional and local authorities take decisions opposite of the national governments or fill in the blanks left by a national government and that through its Cohesion program, the European Union pleads for more involvement in social and economic matters of regions and cities. The role of the EAR academy is one of divulgation of best practices in regional development through conferences, workshops and the blog lodelcar.tumblr.com. During Q&A time Mr. Delcart emphasized upon the principle of the triple helix in which local authorities stimulate collaboration between universities and technical colleges and the local small and medium-sized businesses.